Mode: Chillin' on the pool lounge while watching my little girl and her doting daddy play in the pool. 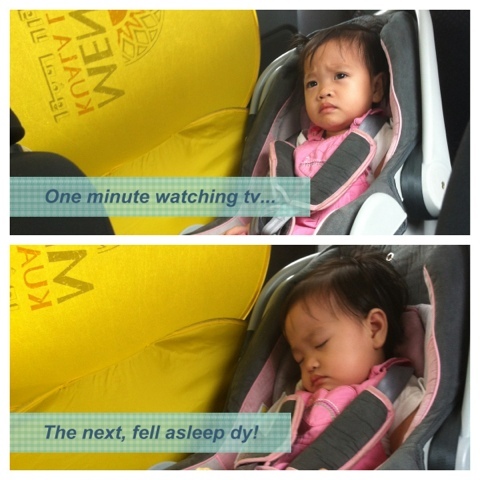 The past 2 weeks had been quite hectic and busy for us. Our family was in town and staying with us. Of course that means having to clean up the house, stocking up on food and playing the role of tour guides. So this week we decided that we should treat ourselves to a mini vacation. Since I have to be in Kuantan for a meeting on Sunday (crazy right, Sunday also kena kerja! ), I booked a room at the Swiss-Garden Resort for the little holiday. And nobody is happier than our little girl who loves nothing more than being out of the house and exploring new surroundings! We arrived at the hotel at 3.00pm. The check-in process was quick and smooth and we were in the room in no time at all. 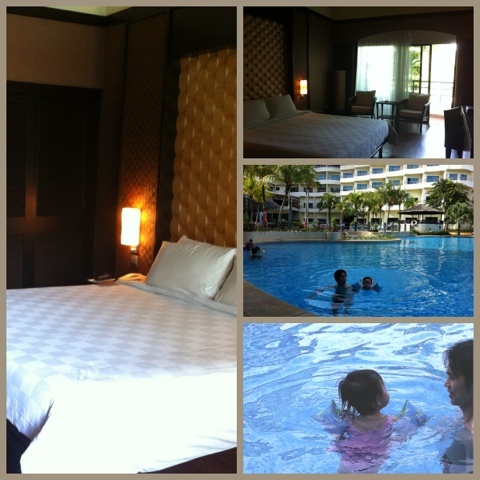 Since it is a resort the room is quite nice and cozy, although the housekeeping was really bad. Can you imagine that we found a dead cockroach under the bed and lizard's dropping at the veranda? :( It just reduced my rating down to just three instead of five. So here I am sitting on the lounge under a shady tree enjoying the sight of my little girl having the time of her life splashing in the clear blue pool. I just noticed a small brown bird with green feather on its breast perching on the tree's twig, while a red flower fluttered down into the water.